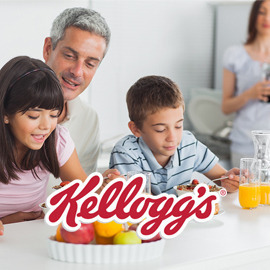 Bring to life how Kellogg’s helps give kids a better start to the day! We all need a little bit of goodness and sunshine in the morning for a good kick-start to the day, especially kids. They need energy, goodness and love to boost their growing bodies and help them through their busy days at school and at home. This is why breakfast is critical, not only to feed their empty tummies but also to start the day with a smile. Create an appealing, inspiring video/animation with a great story depicting how Kellogg’s helps give kids a better start to the day. Format: video/animation, 60 seconds maximum.